A year on from reforms which brought significant changes to the funding and shape of Apprenticeships training Stephen Crawley, Director of Skills at independent training and apprenticeships provider, Skills Training UK, explains 5 ways SMEs can grasp the benefits by using Apprenticeships to upskill the workforce and future-proof their business. For workforces to be more productive, they need more skills. It’s very exciting that employers have driven the design of the new Apprenticeship Standards and that the eagerly anticipated Level 3 Improvement Technician and Level 4 Improvement Practitioner have just been approved thanks to the hard work of trailblazing companies such as BT Plc, Toyota Motor Manufacturing (UK) Ltd, Jaguar Landrover and Wincanton PLC. They have ensured these new Apprenticeship Standards are relevant to today’s advanced engineering and manufacturing employers, blending training in Lean, Six Sigma and change management principles. 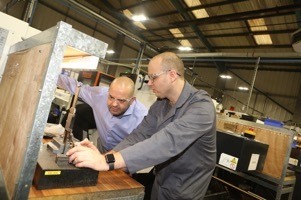 There’s already a lot of appetite amongst engineering companies for these two new Apprenticeships Standards, which together with the existing Lean/Business Improvement Techniques Level 2, provide a tangible and affordable opportunity to develop your existing workforce in line with your lean manufacturing goals. They use classroom learning as well as shop floor real life projects to instil lean manufacturing techniques which focus on improving productivity, reducing waste and giving return on investment through financial savings. Skills Training UK, as a leading independent apprenticeships provider, has worked successfully with hundreds of SMEs to develop bespoke plans which are affordable for the business, align with the vision of the company’s senior management team and give a real return on investment. PACE (see case study at the end of this story) is just one example. One of the biggest concerns in the engineering sector is an ageing workforce. Apprenticeship training provides an opportunity to identify future leaders and progress them to the next level. They are ideal for employees of any age, prior educational attainment or job role and provide an ideal route for career progression from Level 2 (GCSE level) through to Level 6 (equivalent to a degree). Team Leader Level 3 and Management Level 5 are ideal for developing future leaders in the engineering SMEs. There is also the new Level 6 NDT Engineer Apprenticeship, which Skills Training UK has been excited to work in partnership on with the British Institute of Non-Destructive Testing (BINDT). It will have a duration of typically 4 years and on completion of the Apprenticeship the NDT Engineer will hold a degree (BSc Non-Destructive Testing or BEng Non-Destructive Testing). Apprenticeships training is an ideal way to address the skills gaps which many SMEs in the engineering sector fear will hamper their growth, with great concern that not enough recruitment and development of younger people has been happening within such an important sector. The Apprenticeship Level 2 NDT Operator and Apprenticeship Level 3 NDT Engineering Technician apprenticeships, for example, are designed to help address these issues. Skills Training UK has appointed five leading partner organisations in the NDT training world to deliver specialist NDT training within the materials testing apprenticeships. The delivery by IMechE, TWI, Lavender International, Aerospace Inspection Training and International School of Aerospace NDT Ltd as sub-contractors to Skills Training UK, will cover both class room and online theoretical learning and practical applications of NDT. Without exception, we see SME employees improving their communication and teamwork skills as they progress, and paying dividends to their employers through increased commitment, higher morale, better retention and improved productivity in the workplace. The good news is that there is a range of financial incentives available to help SMEs upskill your existing workforce and importantly, Apprenticeships training is for all employees aged 16-65 to develop the skills you need in line with your business goals. They are priced in funding bands (ranging from £1,500 to £27,000) and SMEs pay just 10%, with the remaining 90% paid by Government (known as co-investment). It’s also worth remembering that if you are planning to recruit a young person, there is a £1,000 incentive and if you’re an SME with less than 50 employees the Government will meet 100% of the cost for training an Apprentice aged 18 and under. The Government will meet all of the cost for employing an Apprentice aged 19-24 with additional learning needs or an EHC plan. Skills Training UK is an independent apprenticeships provider with a proven track record in working in partnership to achieve returns on investment for employers in STEM sectors. PACE (Precision Aerospace Component Engineering) is an SME which manufactures high performance aerospace grade components which can be found on many of the world’s most advanced commercial airliners and military aircraft. It has improved productivity by enhancing the skills of its experienced workforce, making significant financial savings. Above:PACE has used Lean/Business Improvement Techniques Apprenticeships training to upskill its workforce. Lean/Business Improvement Techniques Apprenticeships were initially introduced to 25% of the workforce by Skills Training UK, helping upskill employees in the language and practices of Lean Manufacturing through a mixture of classroom based learning and practical application in the workplace through improvement projects. The bespoke programme has helped employees best realise their company’s vision, developing the individual core skills needed to identify and implement workplace improvement processes. One of the projects initiated supported the introduction of cellular working stations, which has helped improve communication and product flow around the factory. Other projects have focused on creating and developing new systems and processes to increase ‘right first time’ production rates, consistency in quality, standardisation of operations, and improved manufacturing efficiencies. In addition to the financial benefits, the atmosphere in the workplace has changed dramatically with employees feeling empowered through the on-going Continuous Improvement programme. Another outcome has been that key personnel have been identiﬁed for future progression in support of succession planning. Four members of the original BIT team have now advanced on to a Level 3 programme. 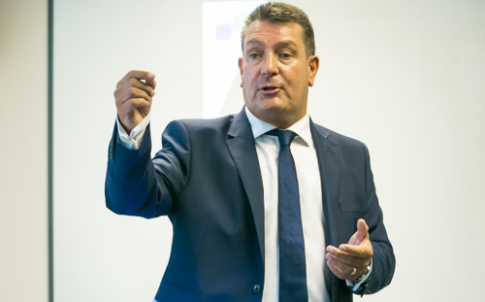 There are further plans for the entire workforce to eventually undergo BIT training as it is now recognised as a fundamental component of PACE Ltd achieving its greater business goals and long term continued success.